Take your event to the next level with a custom entertainment production. Guests will be enthralled by décor, lighting, music and special performances all centered around interactive, compelling themes. Imprint Group manages all casting, choreography, music, costuming and make-up for a seamless show! Want to Request Entertainment for Your Next Event? Submit Your RFP Now. Imprint Group’s “Broadway Series” brings Broadway from the streets of New York City to the stage of your next corporate event. Our customizable shows allow you to feature a variety of performances, from small vignettes to full Broadway-style productions. Beginning as a form of popular music that evolved from rhythm and blues in the 1950's, Rock n Roll has grown into a cultural movement. 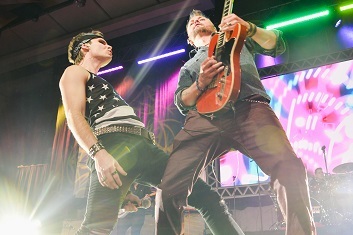 Get ready to ROCK as our live musicians, vocalists and dancers transform your event into an interactive Rock n’ Roll experience! The ultimate 60s music battle! Who will reign supreme in this amazing night of music?! 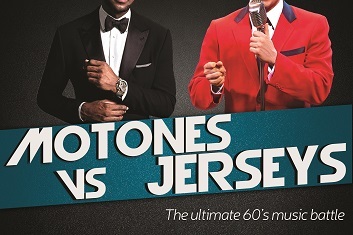 Join the Motones and Jerseys for an evening of 60s song, dance, and crowd interaction. At the end of the show, YOU decide the winner! From Screen to Stage features iconic footage from small and big screen moments that are brought to life through interactive performances. Sit back and relax as your favorite screen moments are transformed to a live show right in front of your eyes. Cover your eyes, rely on your senses, and experience an evening of culture and cuisine. The “Blindfolded Dinner” takes guests to some of the most delicious places around the world, without having to leave their seats. Once the blindfolds are taken off, you are instantly transported to a new culture with sights, sounds, cuisine, and entertainment! Broadway hit “Hamilton” is the hottest ticket in town, but Imprint can help bring the show to you through its latest custom creation. 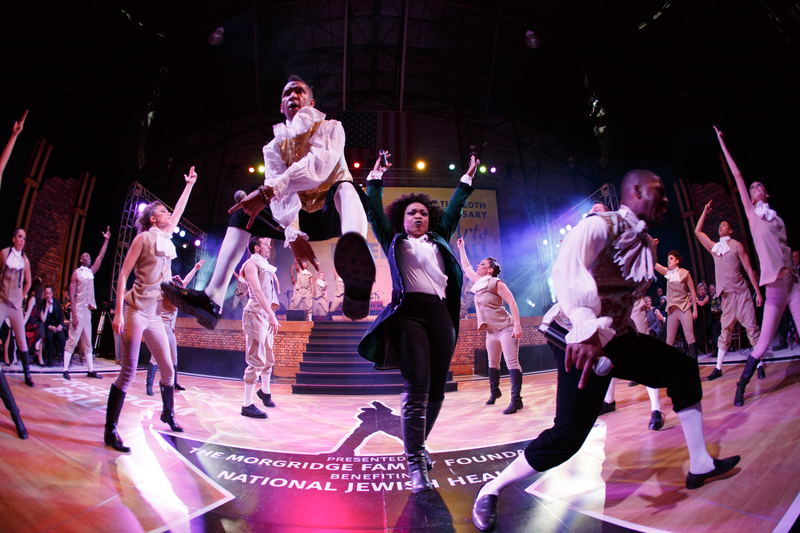 Our production, like Hamilton, is the melding of musical theatre with hip-hop and pop elements. The entire show bursts with the youthful and revolutionary energy focusing on America’s path to freedom. The audience will discover the game-changing musical while experiencing the relevant contemporary hits that will have everyone raising a glass to freedom!